How can you save on the ever-rising price of gas? Do you spend valuable time comparing prices at different gas stations? It's time to stop wasting your time! We provide you the opportunity to find and apply online for a special gas credit card that will help you save and even earn extra cash on gas purchases. If you usually fuel up at Texaco gas stations, then this card is right for you. Due to its excellent gas rebates reward program, you can benefit from each of your auto-related purchases! Just use your card to pay for Texaco gasoline, auto maintenance services and any other products and services at Texaco locations and earn generous cash rebates! Apply online today! If you fuel up at gas stations owned by companies other than Texaco, you can still earn rebates. Also, the number of rewards that you can earn in each billing cycle is generally not limited. Furthermore, your rewards are not subject to any expiration dates, and you can keep them in a special reward account until you decide to claim them. This is very beneficial compared to the majority of airline rewards credit cards which usually cancel miles if you do not manage to redeem them before the rewards expiration date. 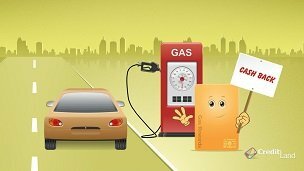 So, with a gas rewards card in your wallet, you have unlimited opportunities to save and earn on gasoline purchases! You should also keep in mind that gas rewards programs are subject to certain rules and limitations which are contained in the credit card terms and conditions. Be sure to take a close look at the important disclosures provided with the application form before you apply online.